This is another Mini phone from ZTE called ZTE Axon 7 Mini - A smaller version of the already launched Axon 7. 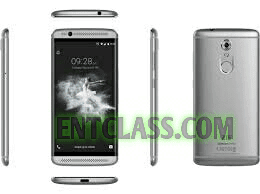 ZTE Axon 7 Mini came with some interesting specs and features even though it is a smaller version of Axon 7. ZTE Axon 7 Mini packs a 3GB RAM and 32GB Internal memory with support for 4G LTE network. Running on Android 6.0 Marshmallow with Fingerprint scanner located at the back. But the battery capacity isn't that impressive though. Anyway, checkout the full specs and features of this smartphone below.